Today was a big driving day (for us!) as we covered about 535 km. We are now in convoy for the first time and Marat adjusted his speed to around 80 to 90 km/hr. Our view for most of the day! 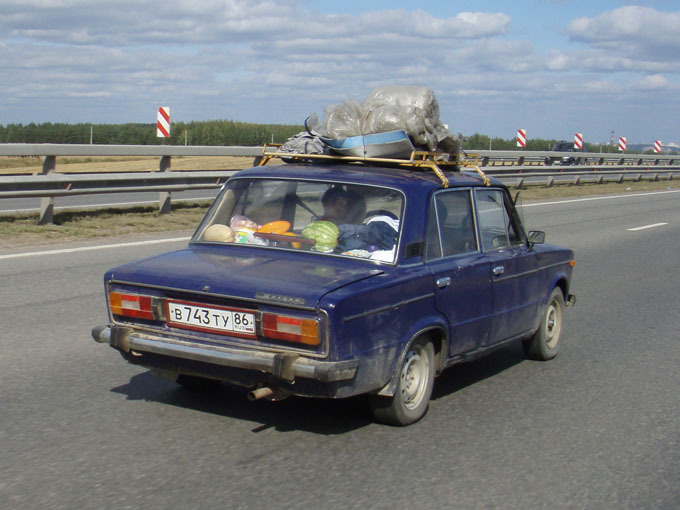 In the countryside there are still lots of Ladas, but now most of the cars in the city are modern. There is no doubt that Russian roads are dangerous places. 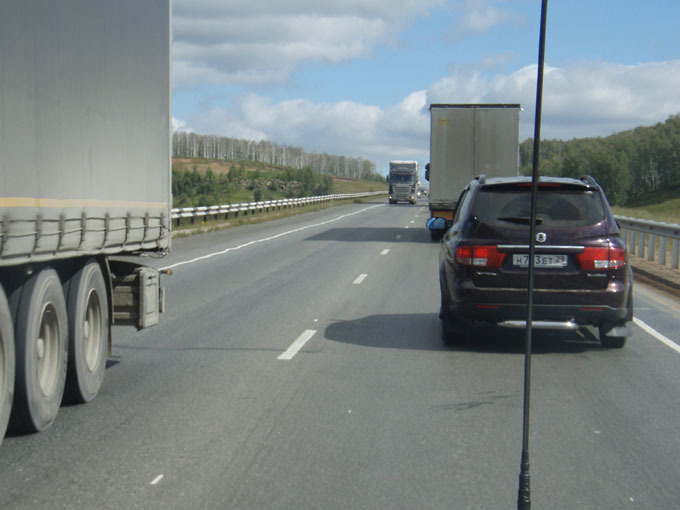 We need to go slowly to give us time to react to all the unexpected overtaking …. often when there is no real gap in the traffic coming the other way. The number of roadside memorials is testament to that. Very often on both sides of the road in the same place ….. fast head on collisions. 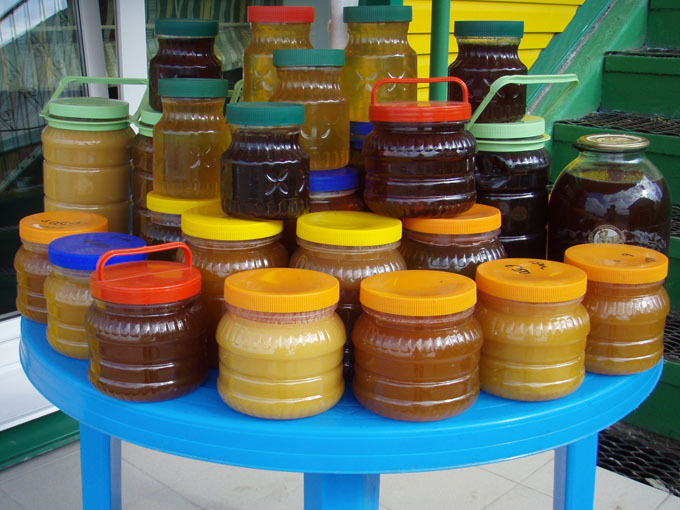 Honey is sold on roadside stalls in the area every few km. Another diesel stop …. at least it is cheap. Abbreviation DT. We have been told that quality varies a lot and that maybe the safest is Luk Oil. There are queues and so maybe is true. 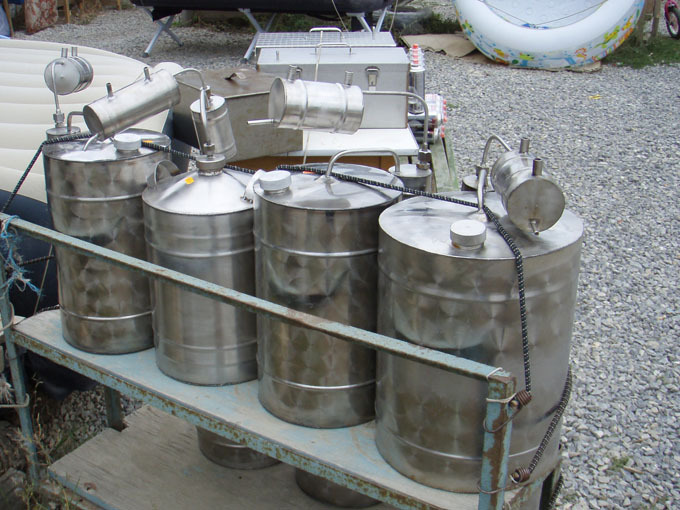 Another handy thing that you find by the side of the road is the stills for making illegal alcohol. Worrying that they are placed to temp drivers! If only I had more room in the camper …… ? 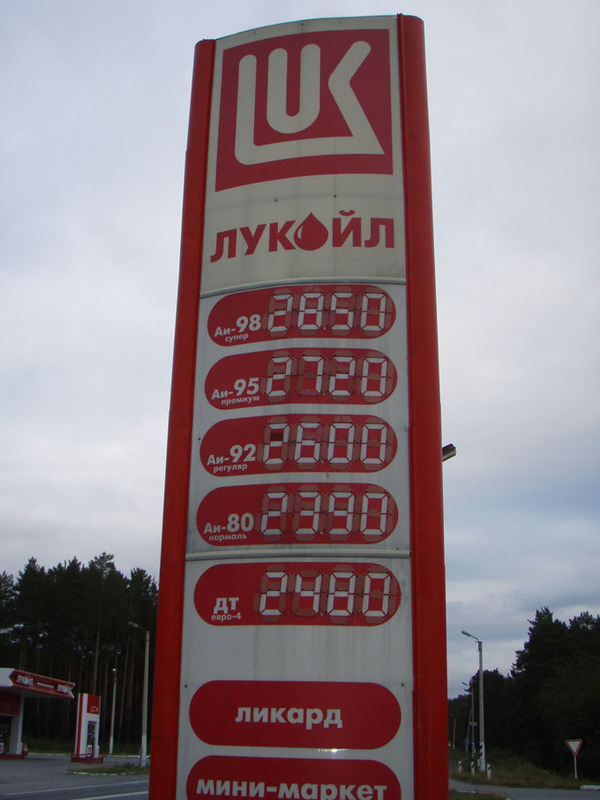 As we drove through Ufa we passed through another timezone (2hr jump ahead). Now 5 ahead of the UK. 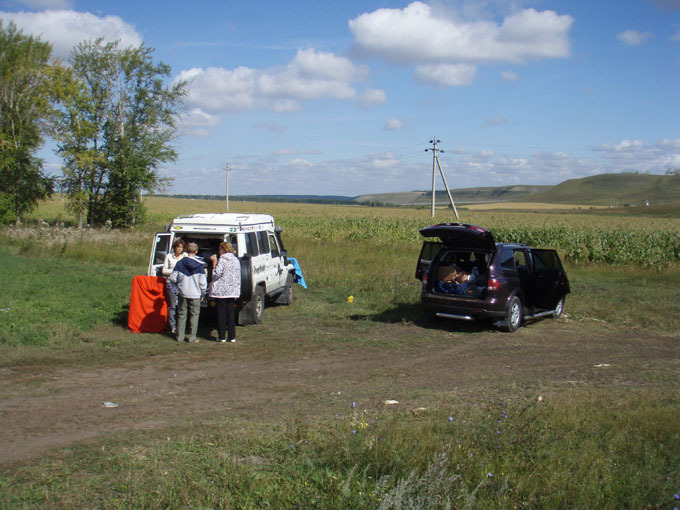 We ended the day driving into a national park called Zyuratkul. We arrived in the dark and camped in the woods. Its now getting chilly at night, but we have had sun every day in Russia except 2 (Pskov area). It stays light until just after 9.00pm.